Stamps Chiropractic’s Dr. Wes Stamps, has been providing quality Chiropractic care to New Braunfels New Braunfels and the surrounding area for 20 years! 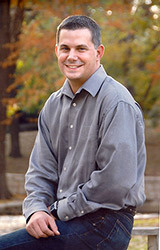 Dr. Wes Stamps received his Doctorate of Chiropractic from Parker University in Dallas, Texas, where he received the “Parker Principles” award for his achievements. The staff at Stamps Chiropractic provides wellness Chiropractic care to pre-natal mothers, newborns, toddlers, teens, adults and seniors. 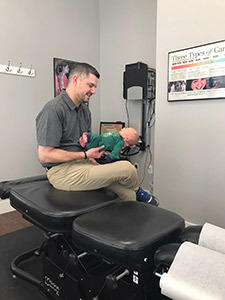 At Stamps Chiropractic Creating Wellness Center, Dr. Stamps has been blessed with a state-of-the-art facility and an outstanding team of doctors and providers with the same vision to provide quality wellness care to all ages. The wellness services offered at Stamps Chiropractic are as follows: Chiropractic care, deep tissue massage, hydro massage therapy, nutritional guidance, decompression treatment for chronic sciatic nerve and neck conditions and muscle stem and ultra sound therapies. Stamps Chiropractic is a long time supplier of Standard Process 100% Natural Supplements, Tempur Pedic pillows and mattresses, Ideal Protein Center and many more high quality product to support your health naturally. Take the first step towards relief by calling our New Braunfels practice today and making an appointment to discuss your health goals.